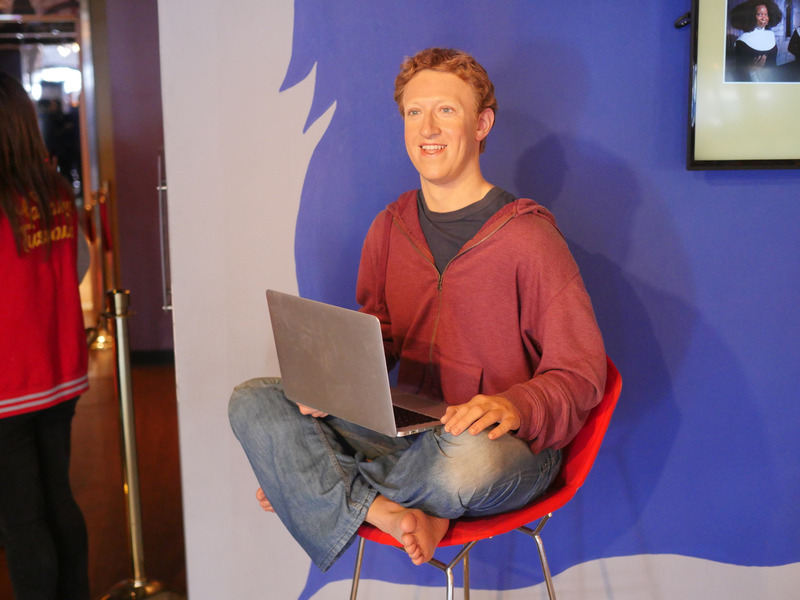 There’s a wax figure of Facebook CEO Mark Zuckerberg in the San Francisco location of wax museum chain Madame Tussauds. It’s currently in the lobby for visitors to see, but when it’s not, the wax Zuck resides in the museum’s “History & Leaders” area with other tech leaders, like Steve Jobs. Luckily, you can visit the city’s Fisherman’s Wharf for a sighting – a wax statue sighting, that is. The San Francisco branch of wax museum chain Madame Tussauds created the wax Zuck figure back when it opened in 2014. It’s currently in the museum lobby for tourists and locals alike to fawn over, without having to buy a ticket. 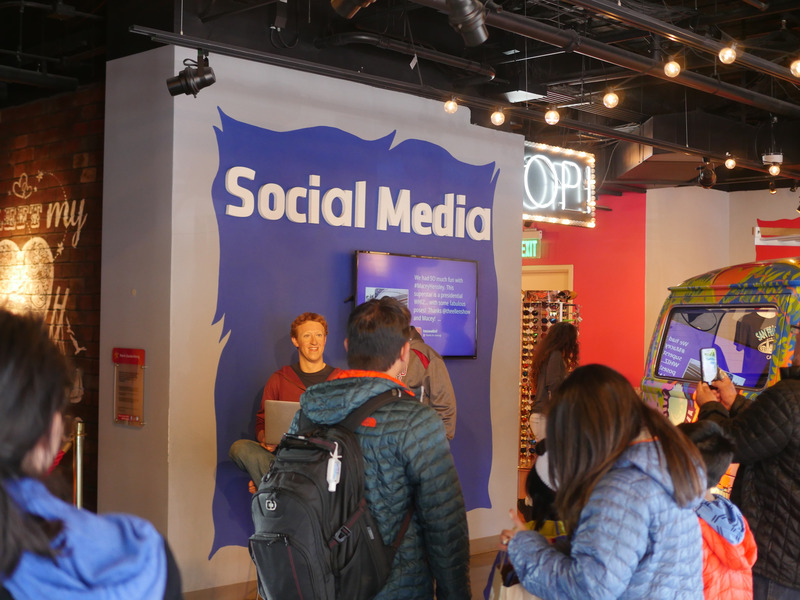 Katie Canales/Business InsiderVisitors wait their turn to get a look at the wax figure of Facebook CEO Mark Zuckerberg. 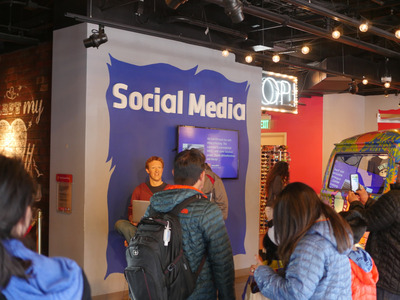 Twitter, of course, had some fun with the whole exhibit, first spurred by a tweet in which the Madame Tussauds San Francisco account references Facebook’s record-breaking $US120 billion market cap drop last week. Nevertheless, the statue is still a fan favourite, according to a Madame Tussauds spokesperson, and made an appearance at 2016’s Silicon Valley Comic Con. The spokesperson also told Business Insider that when the wax Zuck isn’t entertaining his doting fans in the lobby, he resides in the “History & Leaders” section of the museum with fellow Silicon Valley pioneers Steve Jobs and Bill Gates. The wax sculpture definitely looks better than Mark Zuckerberg in the congressional hearings. Admittedly I probably wouldn’t fare much better.